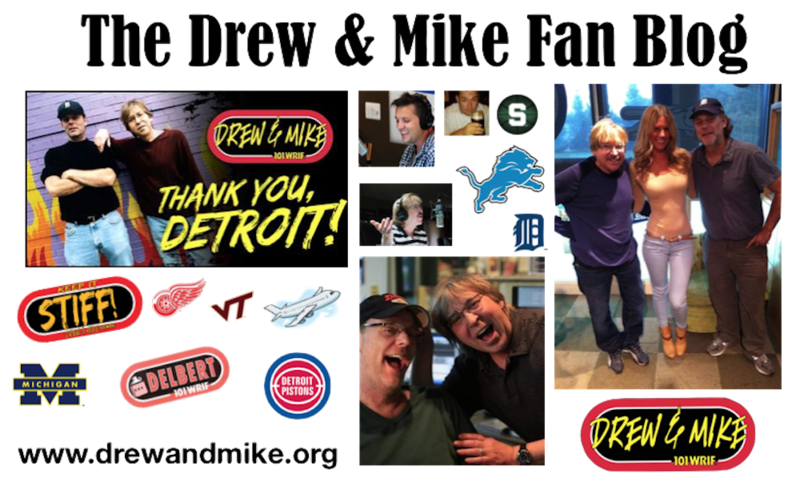 Listen to the first three months of the Drew and Mike Podcast! These are three months when Mike was an infrequent guest. Epsiodes with Drew and Mike are marked with red. To download current epsidoes subscribe to iTunes or via their official website. Why it takes so long to upload? Friday show not on. Why? It’s there. Try refreshing your webpage. That should fix it for you. Thank Yu. I see it now. It was good show. I would like to donate. How I can do this? We must keep the team on the line. Drew and Charlie is an awesome combo! I’d love to hear more of you too! Just started listening. Thank God you guys are back. Gives me something to listen to. Radio is so lame nowadays. Keep it stiff. .
Just got turned on to your Podcast, first and only subscription. You are still the best in Detroit, and I appreciate that the gang is all there. Ahhahah you guys got me reading reviews about dumpy places. I read about one place. I drove by it on Saturday and said oh I bet that this place dump. Chesterfield Motor Inn over in New Baltimore. The reviews are hilarious. No links after july 7th aaaaarrrrghh! Please guys I NEED MY PODCAST!!!!!! Where the F gas Mile Clark been since July?! Are you planning on posting any of the 2017 episodes ? No, drew and mike asked if we would let them be the lone host for new podcast episodes.